Home > Grapes, Spanish wine, Verdejo	> Celebrate #VerdejoDay on June 12th – And Discover Great White Wines! Celebrate #VerdejoDay on June 12th – And Discover Great White Wines! Here I come again with my rhetorical question – how many of you tasted Spanish white wine made from Verdejo grape – raise your hands? Yes, this was quite expected. Meanwhile, Verdejo wines are well worth your attention. Depending on the winemaking style, Verdejo wines can take on the full range of the expression, from light and refreshing to full bodied, complex and thought-provoking. 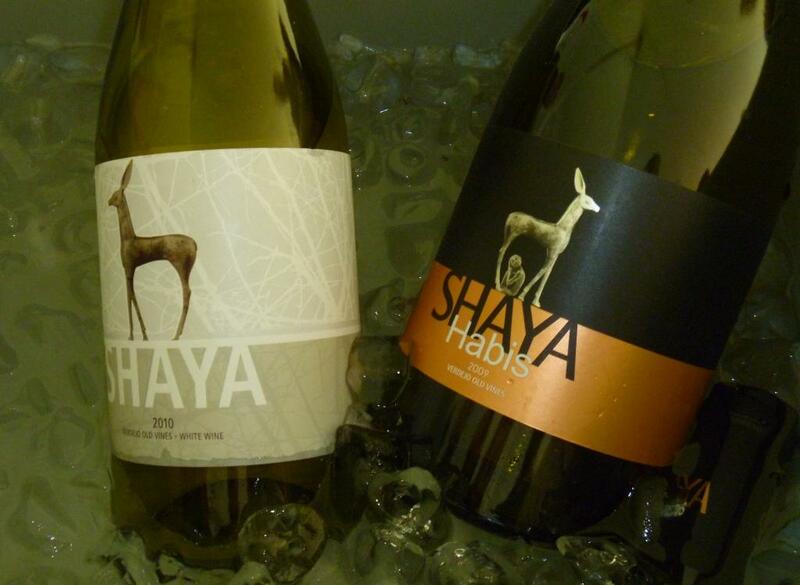 I talked about my favorite Verdejo wines from Bodegas Shaya many times in this blog. 2009 Bodegas Shaya Habis Verdejo, (made from the grapes harvested from 100+ years old vines) was my wine #9 in the Top Dozen Wines of 2011, and 2008 Bodegas Shaya Old Vines Verdejo was one of the wine highlights in February of this year. Another great example of Verdejo wine is Martinsancho Verdejo, which is produced in the quantity of less than 4,000 cases a year from the Martinsancho vineyard. Verdejo is a star indigenous white grape of Rueda region in Spain, tracing its history hundreds of years back, which became nearly extinct in the 1970s. These were the efforts of Angel Rodríguez of Martinsancho, who used the cuttings of Verdejo vines from the Martinsancho vineyard, to help bring the Verdejo wines back to the mainstream. Now, what I want to bring to your attention is that instead of listening to me, you can actually go and experience the Verdejo wines on your own! 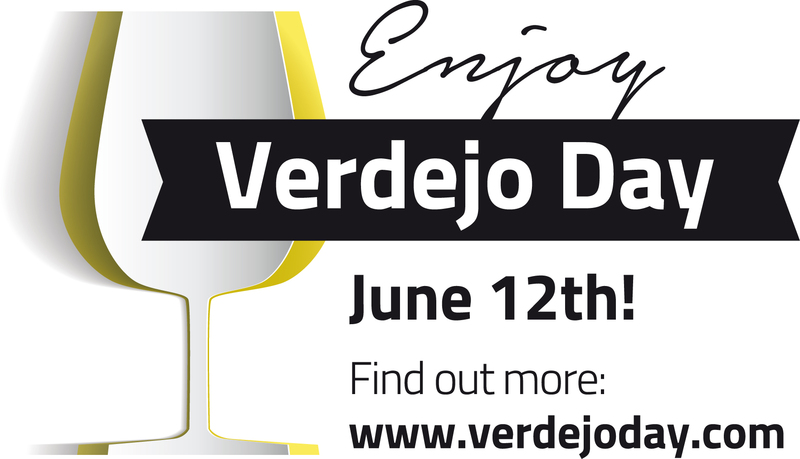 Next Thursday, June 12th, is the #VerdejoDay, which will be celebrated both virtually and in the actual live events. If you live in a close proximity to New York, Chicago, Miami or Los Angeles, you can attend the Verdejo celebration in person. In all four cities, the parties will take place in the restaurants, where you will be able to taste various Verdejo wines (there will be 12 different wines served in NYC), experience Rueda regional cooking and have fun! To read more about #VerdejoDay celebrations and Verdejo wines, please click here. To register to attend a #VerdejoDay celebration in one of the four cities, please use this link to EventBrite site. Even if you can’t attend one of the events, go find a bottle of Verdejo in your local wine store – and you can thank me later. Cheers! Verdejo are very interesting wines – hopefully you will like them! We just had a Rueda last night, Palacio de Bornos, 100% Verdejo. My husband liked it, and he usually doesn’t like white wines. June 12th gives me an excuse to bring another one into the house. Another Spanish varietal day! We made a few vintages of Verdejo for our personal wine label (since that’s what we specialize in). Ours is on the light refreshing side- a great summer wine. One day, I will have to make it to your corner of the world… Sounds like you make a lot of interesting wines!